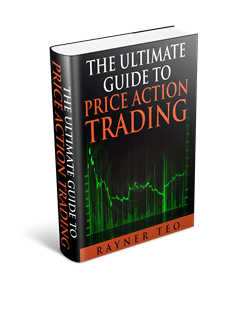 Click here to download The Ultimate Guide to Price Action Trading. tried to unlock the bonus, guide to the ultimate guide to price action but no pdf. cannot get the info despite unlocking and posting to facebook. help pls! Drop me an email and I’ll send you these bonuses personally. Can you send me the bonuses for all your material on trading Please. Thanks very much and love what your doing. Not often I come across people who want to share their knowledge and give that back to help others in the world. Simply thankful for your sincere generosity. Sure thing, just drop me an email and I’ll send them over. Drop me an email, thanks! Just click the image above and download it. The download is at the top of this page. Just click the book. Just shoot me an email and I’ll send it over. Just click on the book image and you’re good to go. please send me price action book thanks. Hi I followed the instructions and didn’t see any downloads of any book. What should I do? Thanks. I want it. I’m downloading now. Thanks for free price action trading pdf. So kind of u.
I have tried to download your cheat for pullbacks. It’s not working. Can you help me? Feel free to drop me an email and I’ll send it to you personally. I’ve sent them out to those who have registered. You should receive them in your email. Hi I shared to Twitter but didn’t see any of the bonuses appear. I already have the books but was really intersted in seeing the video too. Can you email me the link. Thanks. Can’t get the bonus after sharing on facebook aswell boss ,Pls kindly sent to my mail box nickynanan@gmail.com,thank and God bless. Unable to load SDK script for “facebook” due to the error “timeout”. Please make sure that nothing blocks loading of social scripts in your browser. Some browser extentions (Avast, PrivDog, AdBlock etc.) or usage of private tabs in FireFox may cause this issue. Turn them off and try again. Sure thing. Feel free to download it, it’s free. do you have any Ami broker afl which help me to take trades. I added you view facebook and joined your group. Can you email me your bonuses? Just click the image to begin your download. YOU HAVE ME AS YOU FAN RAYNER. I AM SURE MANY GUYS ARE! YOU ARE HITTING COLLECTIVE CONSCIOUSNESS!! Can I get it email to me? I’d appreciate your help. Ok awesome to hear that! hey mike, i love your work and your help to developed good upcoming trader like me. please ill like to have more of those your books. Drop me an email and I’ll send them over. I am happy to know that there are people like urself willing to help others selflessly in their financial growth .. Appreciate if u could send me ur guides and knowledge materials and hope to give a positive feedback on my trades with your help..
Feel free to drop me an email and I’ll send them over. I tried unlocking the bonus, even posted om FB,Gmail and Twitter but still nothing… What does one have to do to get the bonuses Rayner? No worries, just drop me an email and I’ll send em over. What’s the error message you get? You can drop me an email and I’ll send em over. You can reach me at the “ask” section of the website. Sure just drop me an email and I’ll send em over. I’ve tried to unlock the bonus but still unable to get the PDF. i cant download bonus contents. I couldn’t get the bonus yet, even I already share on Facebook, please send me by email. Drop me an email and I’ll send em over. I cannot access the bonuses. Could you please send it to my email at ms.naizy@gmail.com. If you can’t get it, drop me an email. No worries, just drop me an email. Pls send me the bonus too.. I think there is trouble with obtaining your books, can you send them direct to my email below, THANKS. hey i haven´t received the book yet, can you send it to me please? You can click the book image and download it. If you can’t, feel free to drop me an email for it. Study the materials on my website and trading guides, it should help. I tried to download your materials but I could not. Would you please send them to me via e-mail. I also tried to join the community but I could not see how. Would you also please let me know how I can join the group. 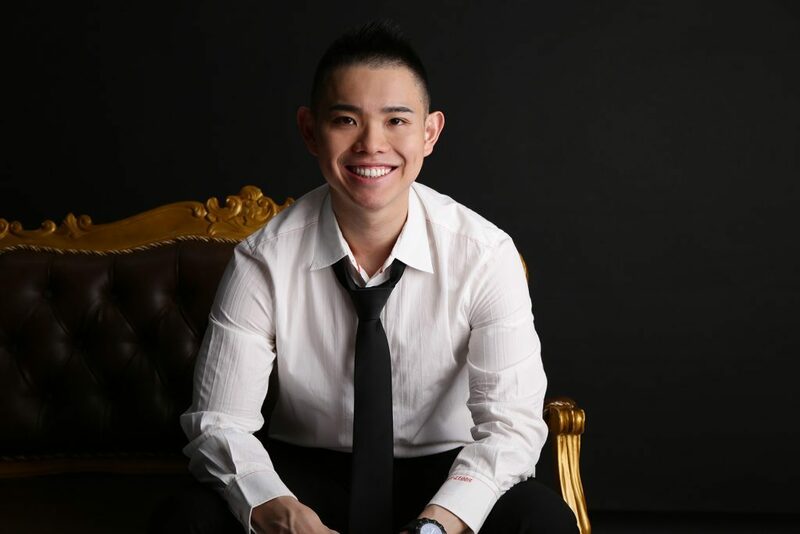 I love the way you teach and share your knowledge for all those aspiring traders. Keep up the good work. Just drop me an email and I’ll get you sorted. Thanks a lot for the great book and sharing it absolutely free so kind of you. hi bro please me a copy. thanks so much. hi nice to meet you.. I am very interested in trading in the market. Just click on the link above and you’ll begin your download. Thanks in advance. Like the rest of the gang posting above me, I would love to have the book as well. Just click the link above to begin your download. Can I have the book please? A lot of Thanks Rayner, God Bless you. I have spent over TWENTY minutes trying to click your system links in order to download items that you have offered. Each link returns me to the previous page or fields with zero option to download ! How do I go about succeeding at obtaining the ebook and downloads that I would like to read please? I’m not sure what the issue is. But just click the link above or the image of the book, and you’ll get your copy. Hi Rayner, can I share this book with others, or do they need to come to your website for it? I suggest sending them to the site here so they can check out the other stuff as well. I just started trading. Can it be possible for you to share the book, please? Would be really thankful. The link is right on top. Just click and download it. Or you can just click the book image and download. If you still can’t, drop me an email. Would appreciate it if you can send it to me to my email. Just click the link above and you can download it. Just click on the link above to download. It’s really help full and i want more updates. Just drop me an email and I’ll send it over. Send me an email and I’ll send it over. Good evening sir, this is Wilson James C. Daquiz I tried to download your ebook but the downloading stop when it reach 50%. Can you please send me the files. Can you please send me the trading material as soon as possible please. Cant wait to see. And do you have a live whats app or telegram channel for the set ups. You can click the image above to start your download. Thank you so much for the price action ebook which I believed is the only indicator that is very realiable in forecasting market price. Been looking for this for a long time..
Just click the image above and you can begin your download. The other Ebook have been removed? I think is two? You have to sign up for the relevant ebooks. This is the price action trading one. Please send me your book on trading strategy plus the bonuses. thank you so much for the download really enjoyed reading it i read an article years ago saying that when a stock or currency pair is channeling and it breaks out it tends to follow the same trend and you stated the same thing Ive been trading 41 years and am still learning but a lot of the things you are saying is very true like candles getting smaller near a major support or resistance level signals a possible turn in the markets pinbars major support resistance zones all very true thanks for the privilege of reading your book on price action trading very well written and explained you are right trading is a lifelong journey and i am glad to travel down the same road with you THANKS AGAIN!!!!!!!!!!!!!!!!!!!!!!!!!!!!! Thanks for your good effort on forex trading education. However, I could not download the book as stated because no mail sent to my email address for confirmation. I tried several times but still the same thing. You can click on the link above to begin your download. If you still can’t get it, drop me an email. Just click the book image above to download. Or else, send me an email. cheers. If you can’t just drop me an email. Thanks you Rayner your book is going to help a lot. Thanks Rayner! You are truly a hero! You are saving many trader’s lives by sharing your knowledge to us all for FREE! You are such a blessing to us beginners.. Thank you so much.. Thank you, Suren. I appreciate it. We’re not related but we are from the same country, Singapore. You’re welcome and thank you A! Thank you so much Superman Rayner Teo for sharing of knowledge and free resources! All I can say is: Thank you Mr Teo for this precious book. As a beginer in this adventure I have high hopes that it will be beneficial to me. You can reach me via the contact page. Send me an email, cheers. Thank you so much for the book. This is exactly what I needed. Just click the link above. If you can’t get it, just drop me an email. Hello Rayner Teo wanted to say HUGE THANK YOU! for lending your FREE help, your truly a gem dude more power! Hi Rayner Teo. Great thanks for this book. Have been watching your video and it is very helpful, so as this book. Thank you very much and more blessings to you. Awesome to hear that, Gemma! Thank you Rayner. I need this book in my journey as a new trader. More power to you. At first I want to see then commet.Although l’m hopeful. Thank you for sharing Rayner! Nice book. I learned so much from this book. Click the link above and download. have a great day. more more power.. Awesome to hear that, Johnii! I don’t trade binary, cheers. Hi Rayner, it’s Mbulelo from South Africa, thank you man I am now confident to face the market you are the best!!! I definitely would like to join you after watching a few of your videos. I must say Rayner that out of all of the “millionaire trader mentors” that i have been listening to none of them answered my questions the way u have. Best thing is that u did it for free whereas some are charging thousands of dollars. God bless u for all the knowledge that it freely giving away. I recommend u to everybody…..keep up the good work. Thanks Rayner for the content, I watch all you videos and take notes then go back and study. You are a tremendous help and thanks for taking the time to help us. I subscribe to your channels and am learning a lot, you’ve one of the teachers out ther I’ve come across. You were born to teach, and trade. Thank you, Jerry. I appreciate it. Thank you, i learned a lot your video. thanks rayner..been watching your tutorials and i really love it for free.. 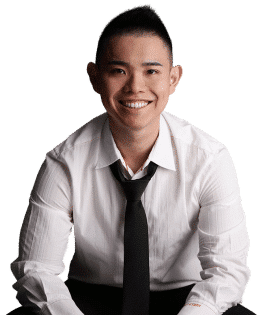 I read trend following strategies.l Iike it.your youtube videos are too good. Click the link above to download. Or else shoot me an email. Hi, I find your teaching/guidance pretty interesting. The way you brake down things and simplify it is awesome… I am currently searching for information on how to help me to ventures into the forex market. Thank you I am going to continue to watch more of your videos n read upon all the info so I can be a successful trader. Hi Rayner! I have been following you for quite some time now. I am just wondering how to get the book? The link is above, just download it. May God blessed you abundantly. Ultimate Guide is a book to read for financial freedom. I would like to learn how to play shares. The link is above, download it. Thanks for thoughts through Twitter. Please have you practice them. Am also a Nigeria. I m learning stock market, I will get very DETAILS for that. Thank u so much for giving this to me. Thank you Rayner for being a great person and friend for sharing this kind of information!! Hi, Rayner , thanks for sharing this kind of information, very useful for me as beginner. like the way you explain things, its simple easy to understand and grasp. Thank you for your support, Darshana! Sir are you a system trader or rule based mechanical trader? I’m both a discretionary and systems trader. cheers.